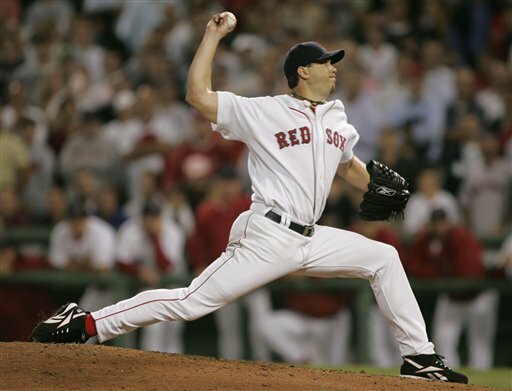 The 2010 Boston Red Sox: Pitching, Defense and the Three-Run Home Run. I’m sitting here, unable to sleep, staring at a blank screen and I don’t know what to say. Today marks the true end of the longest, darkest winter since 2003. The Yankees won the World Series while the Red Sox limped into the playoffs and got swept by the Angels, who had previously been unable to find their own dicks against the Sox in the playoffs. We had to deal with an entire winter of seeing pictures of Douche-Rod holding up the trophy and hearing about how CC Sabathia delivered the title for which he was paid $161 million. But now it’s Opening Day….. Night. The 2010 Boston Red Sox take the field for the first official time tonight at 8:05 pm with Josh Beckett leading them out. The winter is over. Summer is here. I have become complacent, knowing that the Sox will win somewhere in the area of 95 games, make the playoffs, and compete for a title. They will do it in a different way than they have in the past, with “run prevention” instead of run production. Gone are the days when Manny Ramirez, David Ortiz, Jason Varitek and Curt Schilling pounded teams into submission. This team belongs to the homegrown kids; Dustin Pedroia, Kevin Youkilis, Jacoby Ellsbury and Jon Lester. They play defense, keep people off the bases and, hopefully, score some runs themselves. I really don’t know what to feel today, other than the excitement that comes with the ultimate anticipation in a game that is all about anticipation. The predictions are made (Sox over Phillies in 6), the wait is over. Today everything is perfect. What comes from here on out is all gravy. See you at the Baseball Tavern. 5:00.